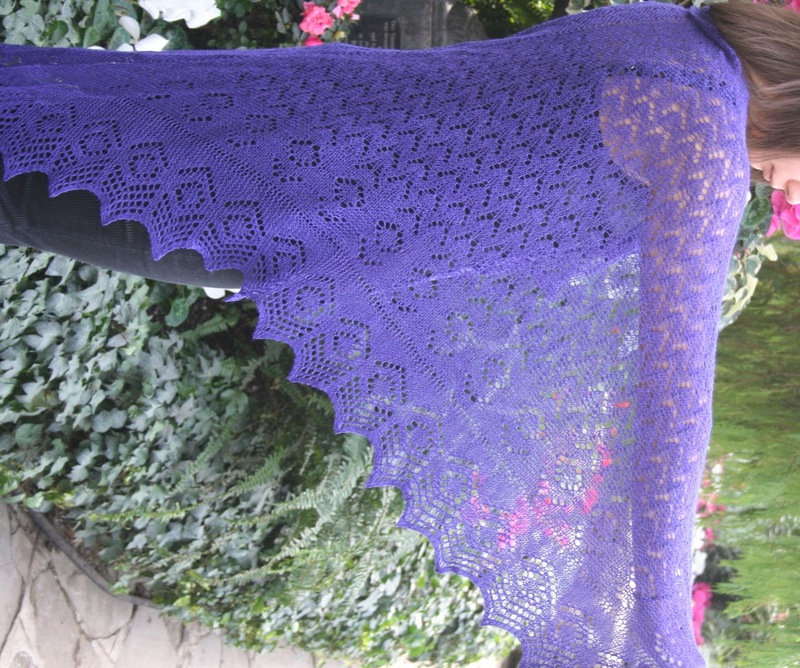 I have just completed Capricorn in my Zodiac shawl series. Aquarius is being test knit and Scorpio has been released!!! I just have 2 more to knit - Cancer and Aries. So I am looking for inspiration. Cricket Walker, whom I follow on Facebook, is always good at posting new challenges to get people up and moving to start their creative juices flowing. Her latest challenge is a photo a day. I'm a bit late in starting; but here is my first one. 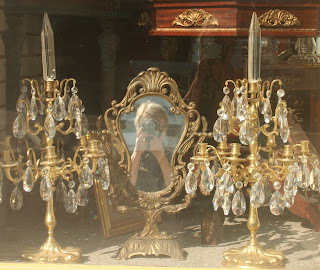 Yea it's me taking a picture of a shop window which I pass everyday when I go out for a coffee. My office is on Mt Pleasant Ave, in Toronto, which has often been compared to Union St. in San Francisco. I haven't had a holiday in awhile - can't you tell - I haven't been posting. Maybe I should just play tourist in my own backyard. 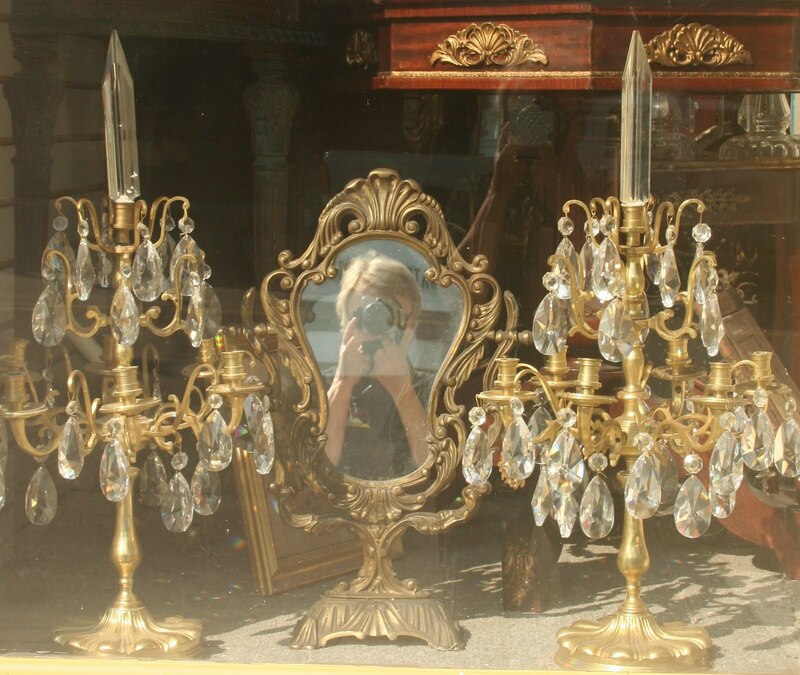 Well I could pretend that it's Versailles or St. Petersburg. I'm feeling better already! !